Eric Prydz possibly stands alone in his ability to mix commercial success with underground notoriety. With his labels, Pryda and Mouseville, he has been acknowledged by Beatport as one of their biggest selling artists of all time. Both are held in the highest regard by the underground scene, which has allowed Prydz to remain something of an enigma while being a household name. Since his arrival, Eric Prydz has inadvertently broken into uncharted territory for dance music, as festivals, events and venues across the planet have rocked to his performances. In 2011 Eric launched his innovative new show concept, ‘EPIC’, at London’s O2 Academy Brixton to a sell out audience. This special show features exclusive cutting edge production, 3D holographic video projection and lighting systems. Coupled with Eric’s rousing music it is a ground breaking audio and visual feast. His releases and forward thinking live shows have allowed him to achieve worldwide recognition with his integrity intact. Now signed to Virgin Records, Eric has started working on his much anticipated debut artist album (due for release late 2012). However before this, Virgin will be releasing a compilation album of his key productions under the Pryda guise, ‘Eric Prydz Presents Pryda’, In June 2012. The album will be released as a 3 x disc album. Disc 1 will be made up of new unreleased Pryda productions, which some fans may have heard as works in progress (including ‘Shadows’, ‘Agag’, ‘Mighty Love’ and ‘Allein’). 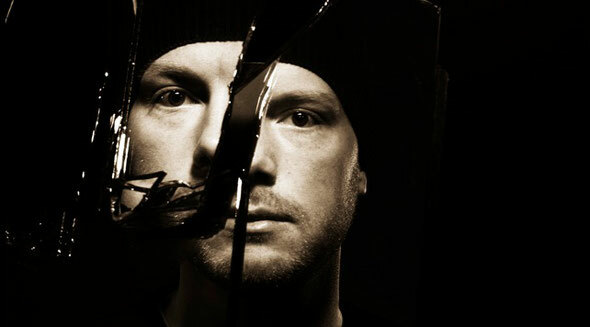 Discs 2 and 3 bring together many of the classic tracks from the Pryda catalogue, sequenced and mixed by Eric himself, and including some of his special re-edits. Pryda has become a genre-defining stable and is possibly one of the most successful and influential dance labels in the world. Full track-listing below image.